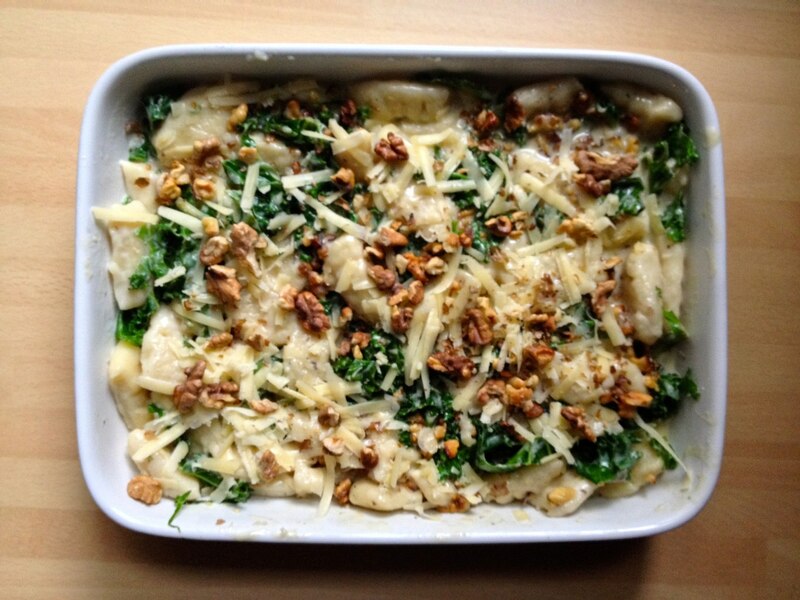 Today I made gnocchi with kale walnut and stilton cheese for lunch… yum! 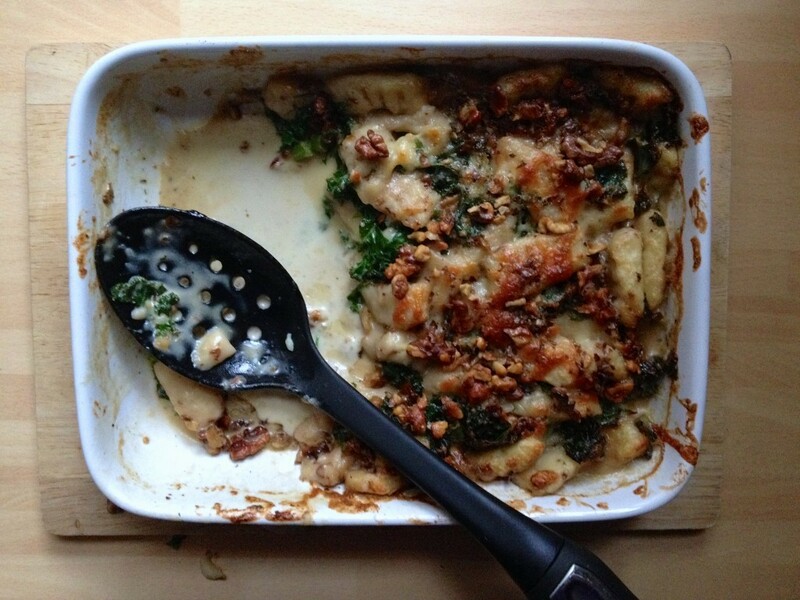 I love gnocchi and I did share one other recipe in “My trip to Italy” post. 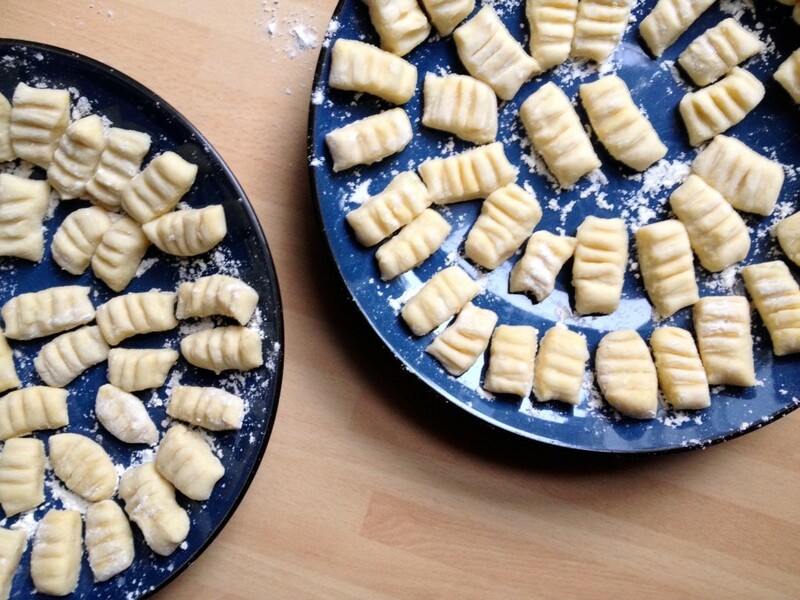 Here I will share a step by step method on how to make the gnocchi itself. I used to struggle to handle the gnocchi dough while making them, but I did finally figure that it was because I was not letting the potato cool before mashing it (some of you might think DUGH!!). So yes, do cool the potato and maybe cook them way before you even want to make gnocchi. 1. Mix all the ingredients for the dough and split into the balls (pic.1). roll the ball onto the floury surface (pic.2) and cut them into little pieces (pic.3). 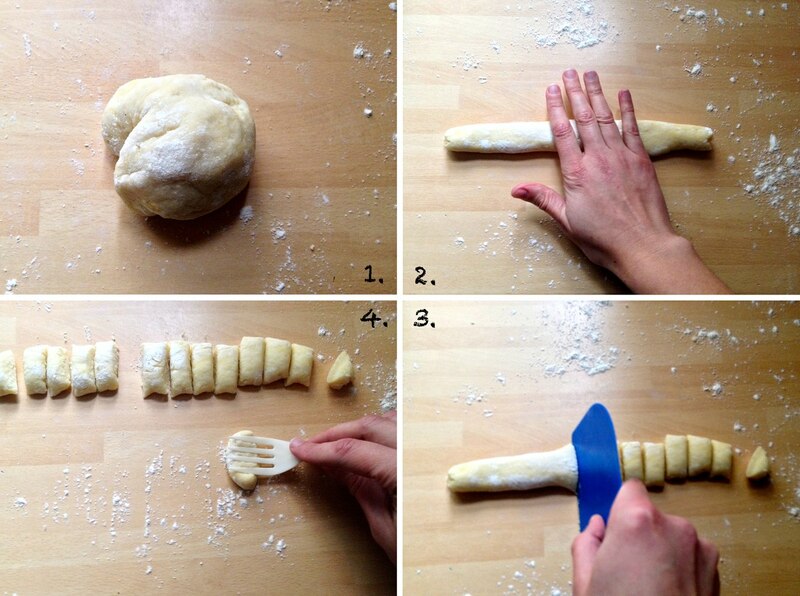 To make them textured roll each gnocchi piece against the fork ribs (pic.4). Lay them in floured plate by leaving some small gaps between them so they don’t stick together. 2. 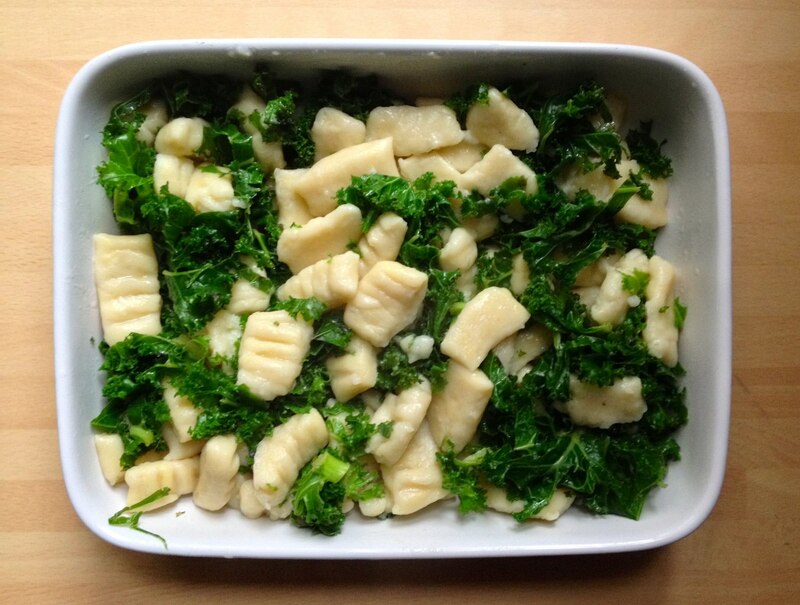 Cook gnocchi in boiling water for a few minutes, and then mix them together with ready steamed kale in a baking dish. 3. Meanwhile make the sauce. Pour cream and crumble the cheese into the saucepan and whisk everything together until smooth while heating it on the low heat. 4. Pour the sauce over the gnocchi and kale. 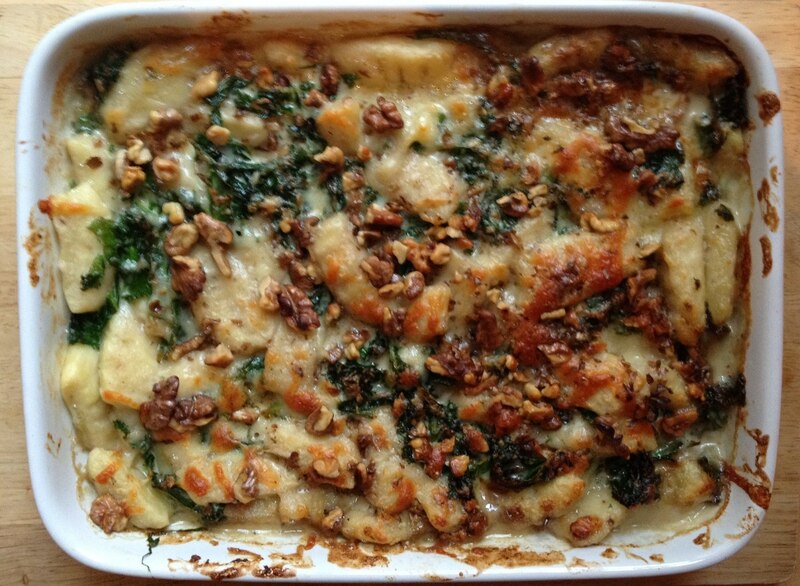 Scatter the cheese and walnuts on top. 5. Bake in preheated 200C oven for 15-20min.